As a regular at almost every Arsenal match, I usually rely on the evidence of my own two eyes for my opinion about what takes place on the football pitch. In fact, apart from the obligatory Match of the Day highlights and assorted other pet media favourites, for the most part nowadays I tend to ignore the myriad of offerings available on TV, in the press and online, prior to writing my missives, for fear that I might only end up regurgitating the thoughts of others. However having sadly been forced to miss Wednesday's match against City and the second half on Saturday (see below), I suddenly find myself a voracious consumer of everything the media has to offer, in the hope of achieving the same level of insight. So where usually nowadays I might be the last to hear the latest juicy gossip, over the past few days I've become the font of all knowledge, everything from the alleged rantings of Adebayor's spurned gay lover, to Glen Johnson's rancorous Twitterings in response to criticism from the Merse. This perhaps also has something to do with the fact that I've so much time on my hands, while hanging about on stage at the Coliseum between the sporadic cues and scene changes that break up an arduous ten hour, two show working day (with Romeo one of the most tediously long shows in the ballet's rep, from a stage crew point of view - don't want to be frightening off all the ballet aficionado's reading this post :-). But it's a strange phenomenon, realising quite how easily my Arsenal appetite is satiated by my attendance at live games, but when denied this pleasure I feel permanently under-nourished. I'm also reminded of the potential for such a stark contrast in opinions of those watching matches live, compared to TV viewers (to the extent that they might've viewed an entirely different game). A pal of mine questioned how I managed to give Theo Walcott top billing in the player ratings sent into last Sunday's Observer (reluctantly, I might add, as I never enjoy marking individual performances out of ten in what is a "team" game). But in contrast to what he'd gleaned from watching on the box, from where we sat behind the goal at St. Andrew's, there seemed to be a consensus of opinion that suggested Theo's efforts on the day deserved due recognition. Similarly, having seen the incident that resulted in Bakari Sagna's sending off on Wednesday replayed several times, it was hard to disagree with those pundits who felt Baks was more deserving of a red card than the Man City defender. However it occurred to me that this contretemps took place directly in front of our seats at the Emirates and I discovered a different point of view on Saturday, as my mate who sits beside me pondered whether it was fair to punish the player who reacts to provocation as severely as the instigator? Sagna's been one of our most consistent performers so far this season and in his enforced absence, I only hope an infuriating Manny Eboué can manage the concentration necessary to be aware of his defensive obligations. Kieran Gibbs' long-awaited return on the opposite flank was perhaps the highlight of Saturday's unsatisfying encounter. With Gael Clichy suffering one of his most lacklustre and inconsistent seasons to date, I'm hoping our young French full-back might benefit from a period of respite on the bench, long enough for him to rediscover his motivation. Meanwhile with Kieran coming through the ranks, having been with the Gunners since he was in short pants, hopefully he can add another soupcon of homegrown pride to the squad, the sort of unstinting determination that might inspire those who view the Arsenal as just another stop on the ladder of their footballing career (anyone know the Russian for "pull your finger out"?). It was interesting to hear Cesc's post-match comments on the box on Saturday and what seemed to me to be an unambiguous dig at Denilson with his remark "they scored from a penalty that...at this stage, when you are a professional footballer you can not do this type of penalty so easy". This might lead one to conclude that all is not exactly sweetness and light in the Gunners dressing room, but let's face it, Cesc is only voicing an opinion that seems so patently obvious to every Arsenal fan. It was also quite revealing that to hear from Fab that they were looking forward to "a week off" after West Ham, thereby implying their disappointment at having to travel up to Elland Road for a midweek replay (despite his assurances that "we like it...it's a nice competition"). I'm loathe to single out Denilson, as their were others equally culpable for our failure to put Leeds to the sword. Arshavin hardly showed his desire to avoid a replay when he came sprinting off, in the belief he was about to be relieved of his duties just past the hour mark, when in fact Walcott was replacing Chamakh and as my neighbour pointed out to me, if only Nicky Bendtner could mimic Marouanne's industry, the lumbering Dane might possibly pose as big a threat as his over-sized ego. In any other field, you'd want to send the same bunch of players out at Elland Road as punishment, to prove they can do better. Personally I don't mind the outing, as it's been a while since we played at Leeds and judging by the decibel level at their end on Saturday, it promises to be either a wonderfully atmospheric evening at Elland Road, or an unmitigated disaster. Considering I've just shelled out for my ticket for the replay (along with an extortionate 70 quid for my seat at the Nou Camp), here's hoping it's the former and that Arsène treats this trip and the one to Portman Road on Wednesday with sufficient gravity to merit putting out the Gunners best XI! With impending cuts impinging on the Arts Council’s funding of the ballet and the sudden realization that the resulting cancellation of the Spring Tour means very little guaranteed employment over the next few months, I somehow got my priorities wrong and agreed to a fortnight’s work commencing 4th Jan, despite the danger of missing four massive games for the Gunners. I’d managed to convince myself that my increasingly decrepit joints couldn’t cope with the gruelling physical nature of grafting in the theatre for the entire six weeks of the Xmas season. So having been fortunate to enjoy December's feast of football, instead of the traditional, tedious diet of twice daily offerings from the Sugar Plum Fairy (although Denilson does a decent impression in his mercifully rare midfield outings and the Brazilian's not alone in needing his nuts cracked! 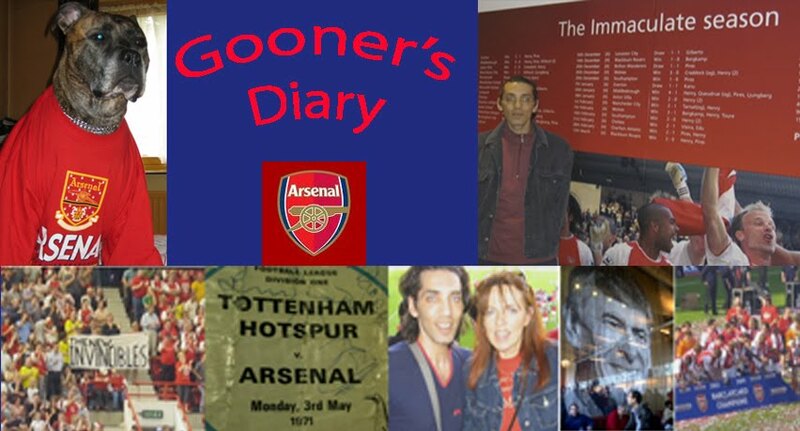 ), with the offer of working on the changeover from the Nutrcracker and a two week run of Romeo, I decided to risk the sacrifice of the games against City, Leeds, Ipswich and West Ham, on the altar of hopefully being able to afford all the other remaining Arsenal jollies. It was about an hour before KO against City the next day when my error of judgment began to sink in, as I was finally forced to relinquish my seat by flogging it on the Arsenal mailing list. Sad sap that I am, since the recipient had to drop my membership card back to my place, I asked him to get me a programme, so that I could make like I was at the match and read it, during half-time, whilst watching a recording later that night. It would by hypocritical to criticize Mancini’s “boring, boring” City, having spent much of my youth watching an Arsenal side in the early 70s who were the maestros at grinding results out on the road. Although putting myself in the increasingly “noisy neighbour’s” shoes’, having spunked up all that moola, I might’ve expected just a tad more ambition? With a 12.45 KO against Leeds at the weekend, I wasn’t going to miss my opportunity of an, albeit brief, live taste of FA Cup magic on footballs’ favourite Saturday (which Sepp Blatter seems intent on putting the kibosh on, with his plans for a Winter tournament in 2022! ), even if it meant leaving at the break for a 2.30 matinée. I was hoping that the Gunners would have it all wrapped up by half-time, but as I dashed back to the bike to discover a costly parking ticket stuck to a wing mirror, I wondered why I’d bothered making the effort to turn up for the first 45, when my team were so patently devoid of similar commitment to the cause. Pace and precision were essential for the Arsenal’s pretty football to flourish against Leeds impressively disciplined and doughty defensive display. Sadly Arsène’s starting line-up was found badly wanting for both ingredients. Still my afternoon would’ve proved a whole lot more depressing, if it wasn’t for the fact that while Juliet was making her customary meal of fluttering off this mortal coil at the Coliseum, Walcott was doing likewise at the Emirates. Although the slight tug of a sleeve was obvious for the second penalty shout, if it hadn’t been for the clamour for a spot-kick immediately prior I doubt ref Dowd would’ve gifted us the opportunity of a last gasp equalizer - resulting in various baffled stares from the corps de ballet as I danced my own daft jig of delight in the wings. So largely thanks to Theo’s theatrics, the Gunners were still in the hat for the 4th round draw. Much to the chagrin of all the Hammers fans at work, I’ll be at Upton Park next weekend but I dared not take the liberty of missing another 2 shows to travel to Portman Road on Wednesday night. What on earth possessed Ipswich to give Roy Keane the elbow, immediately prior to their highest profile encounters of the season? Doubtless I’ll be glued to the radio coverage to discover how the Tractor Boys react to their FA Cup tonking and in my much bemoaned absence, I bloody well hope the Gunners turn up! Doing It The Easy Way. Do Me A Favour! Can We Expect The Unexpected?